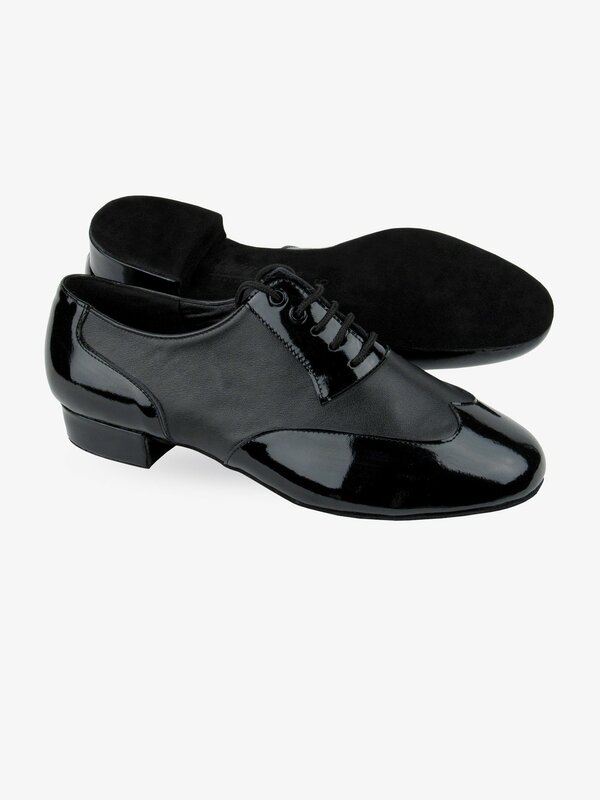 These Very Fine Shoes are great for Latin, Salsa, Tango or any type of Ballroom Dancing. 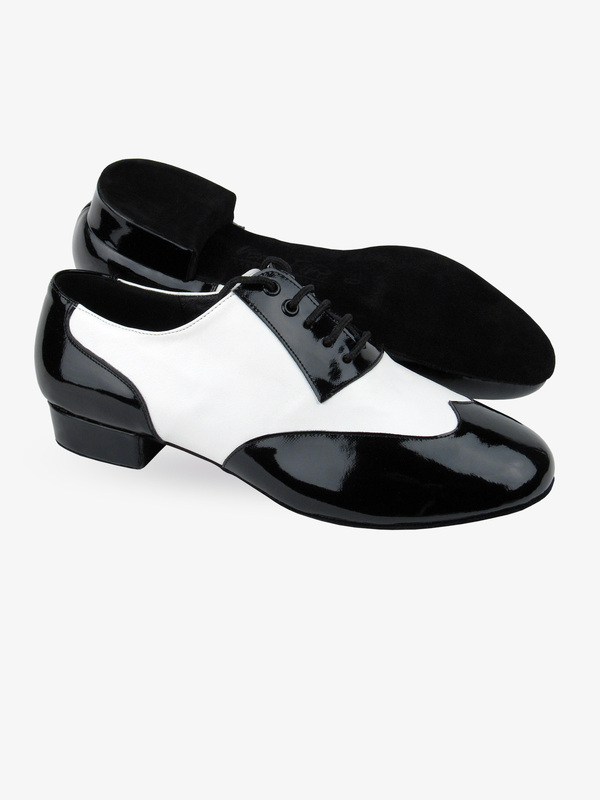 Shoes available in a luminous 1" or 1.5" black patent and black leather, or a 1" black patent and white leather. A free shoe bag is included with each pair. Brought these because they're different than an all patent leather look. I plan on dancing in these New years eve wearing a tux - it a wear whatever affair so the tux can be accessorized more to my personality than just black tie. I have been dancing in these shoes - very comfortable - no break in needed - same size as street shoes. These have worked out so well that I have order two more shoes of different styles. I' m really happy with these. I have been wearing these shoes almost every day for a little over two weeks, and they are working out great! I am impressed with the overall look of the product, as well as the comfort. I was a little worried about scuffs, but they seem to be pretty resilient. The size was "spot on" at 11 1/2 for what that is worth. I would (and will) definitely buy these again. The shoe size suggests buy street size, but these run short and narrow. Go one size up! 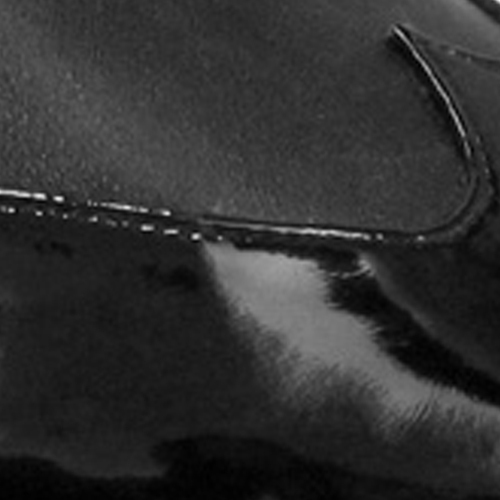 Leather sole or something else? This shoe has a suede sole.